Summary: I have completed this walk many times, the start point being about 10 miles from my home. 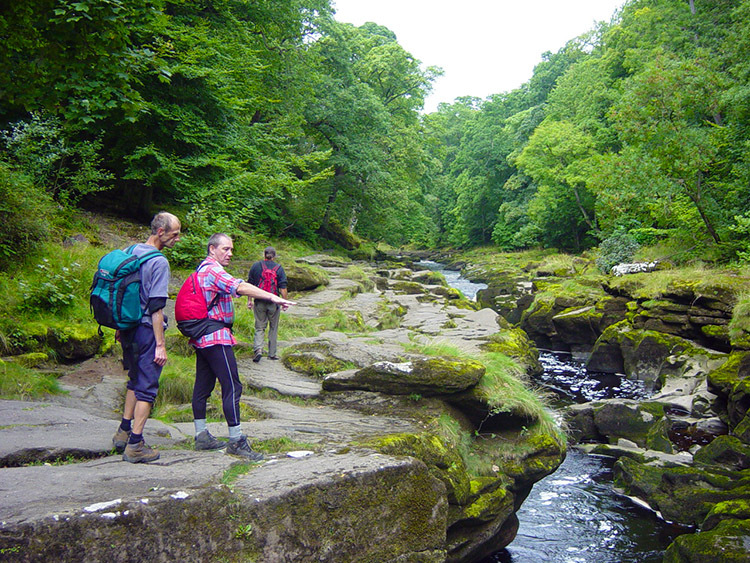 The walk has an interesting section following the River Wharfe upstream to the Strid. 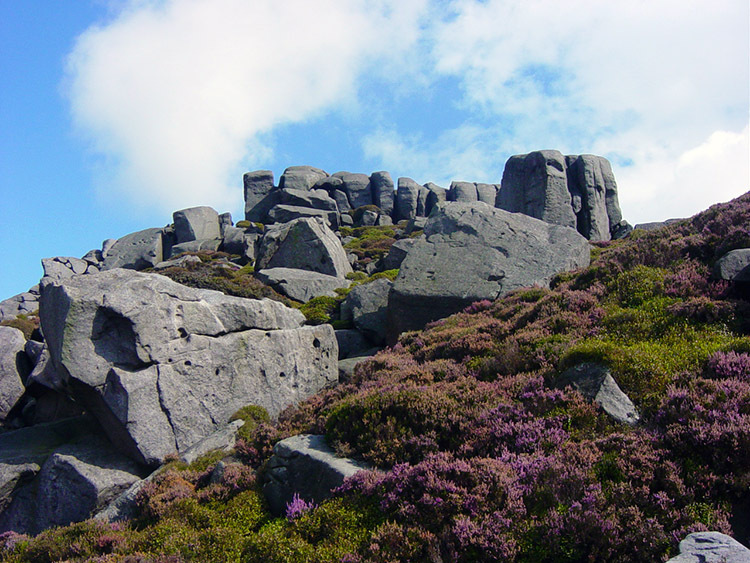 A little later it leaves the valley to climb Barden Fell and visit Simon's Seat. 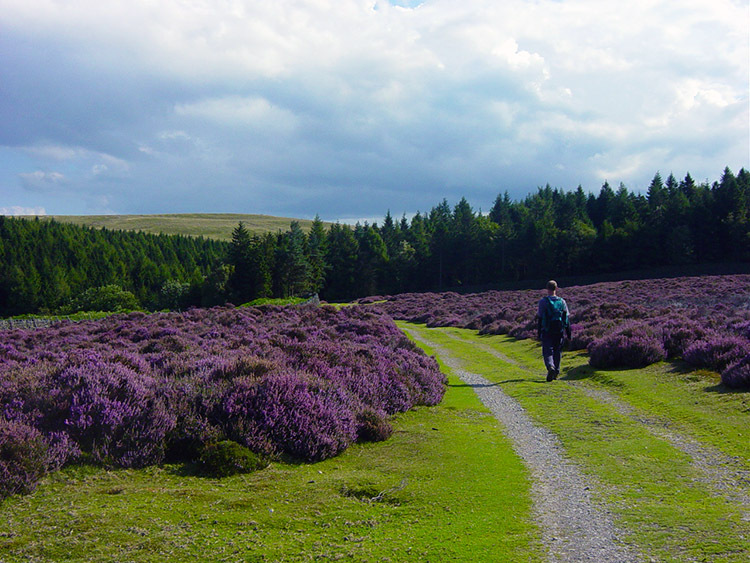 From there follow the main track down to the Valley of Desolation and then walk back to the start or make an exploration of Barden Fell as this walk does by tracking along White Wham Beck and Hudson Gill Beck. 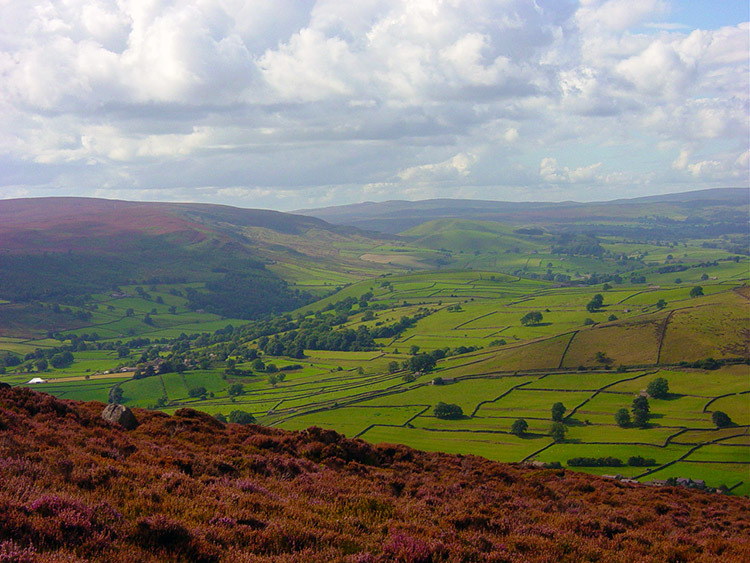 The beauty of living back in Leeds after three years exile in East Yorkshire is that I can get walks in the Yorkshire Dales on most weekends now, and a walk is so much more fun in the company of friends where the banter and sarcasm can add to the fun of it all. This walk was just like that as I met up with Dave, Deke and Jez who made the short trip from Harrogate.. We arranged to meet at 10.30am and I was about 10 minutes late because of Sunday traffic in Ilkley. And did not the boys just let me know! 'Did you sleep in, couldn't find your way, have a hang over did we' were typical retorts from the boys on my arrival. 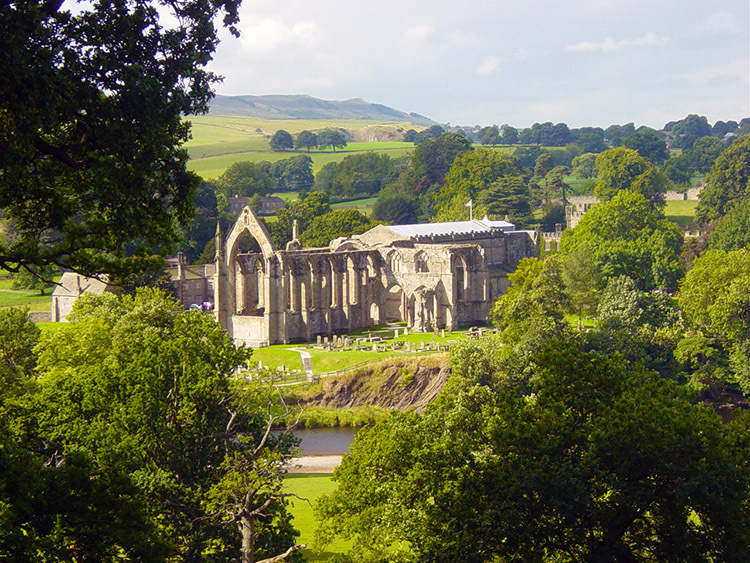 Still, I have become accustomed to it all over time and after they had tired of the banter we set off briskly on our walk upstream along the Wharfe from Bolton Bridge towards Bolton Abbey following the Dales Way footpath. 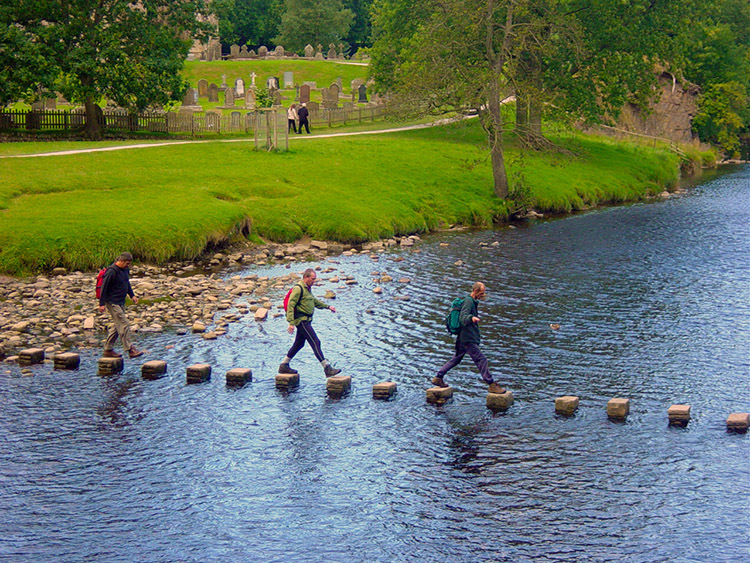 A few Sunday picnickers had began to mass near Bolton Abbey as we approached and I took the obligatory picture of the boys as they strode across the stepping stones over the river to the eastern bank. 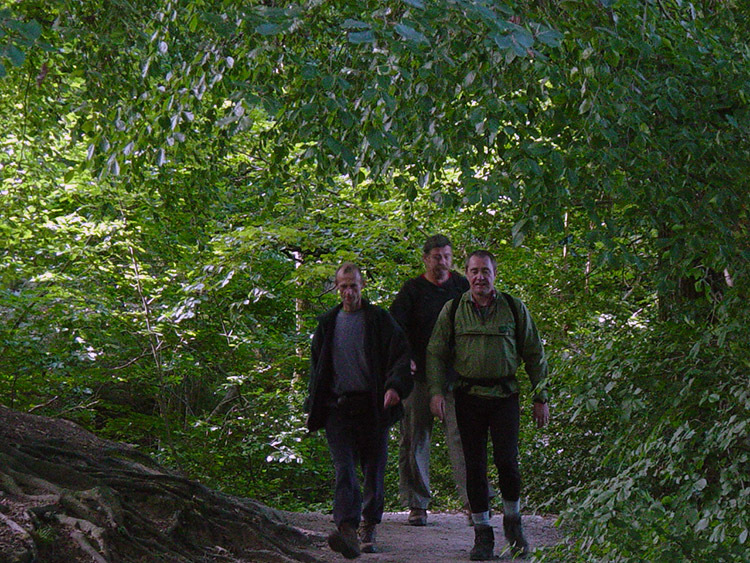 We then walked through the woods to cross the wood bridge onto the western bank of the river at Cavendish Pavilion, not stopping for tea because as Deke said quite rightly "They are taking the piss here with those prices", so we walked on into Strid Wood. The Strid is a fascinating place where the Wharfe is compressed into narrow channels by the limestone and forced to make its way violently downstream. Lives have been lost by the incautious here and just a few years back two honeymooners lost their lives here in tragic circumstances. It is a beautiful place but the river is not to be mocked. Take care and enjoy this lovely place. 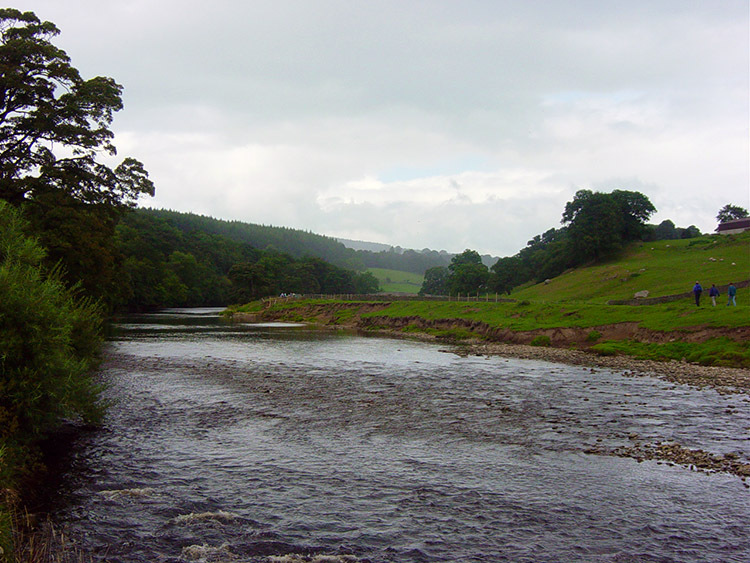 We made our way through the Strid and as we did so encountered our only rain of the day. It even made us put on our waterproofs for a while, the first time for a long time in this driest of summers that is 2003. After taking or time walking through the area and delighting in the place we emerged into the light again at Old Oak Seat (where is the seat?) where a substantial stone bridge stands serving no purpose but to allow Strid walkers to cross and go back along the Strid on the other side. It must have had a more profitable role at one time? (note: The 'bridge' is in fact carrying a water pipeline for Bradford Water Works. 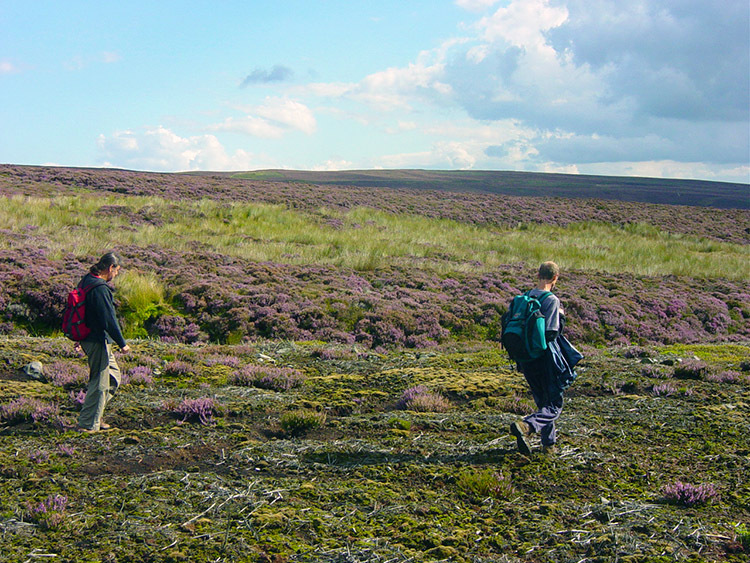 The pipe stretches round Earl Seat and heads off to Grimwith Reservoir. 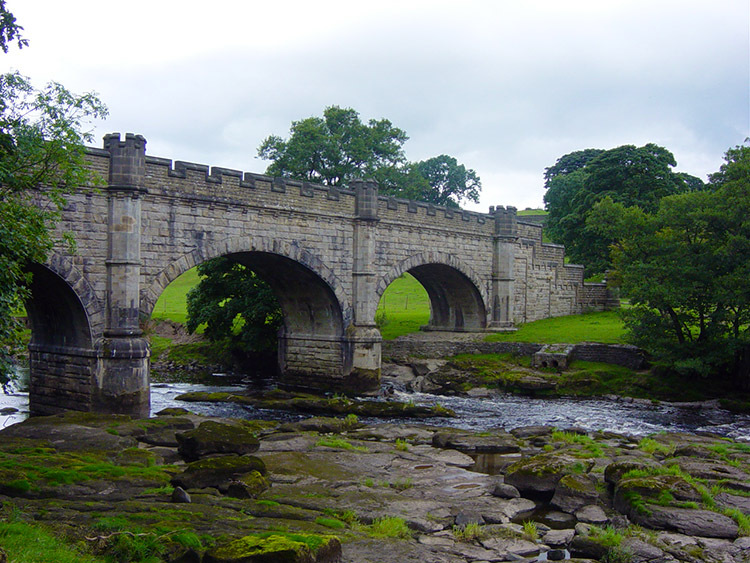 Source: Don Langley) We passed by this unnamed and unmarked bridge and followed the Wharfe to Barden Bridge where we again crossed to the eastern bank, continuing on to where we left the river at Howgill Bridge. 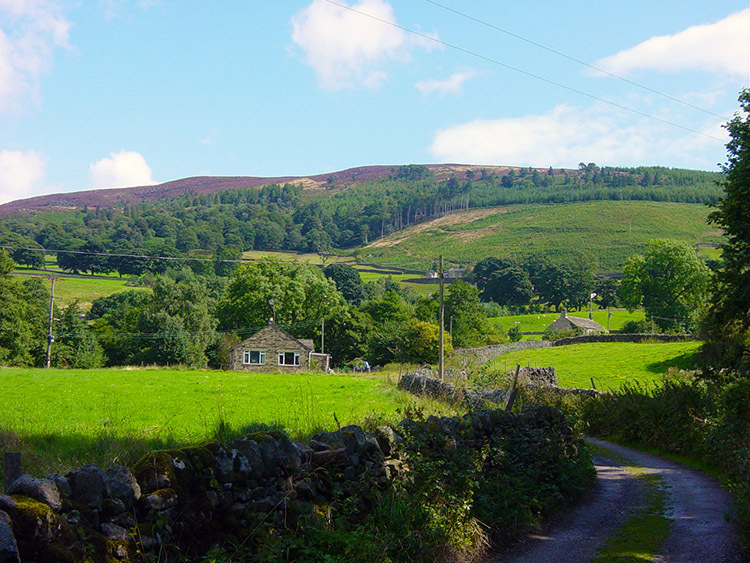 After our walk alongside the Wharfe we walked up Howgill Lane to the caravan park there hoping to get tea at the site cafe but to our disappointment it had just closed after its summer season, darn it. 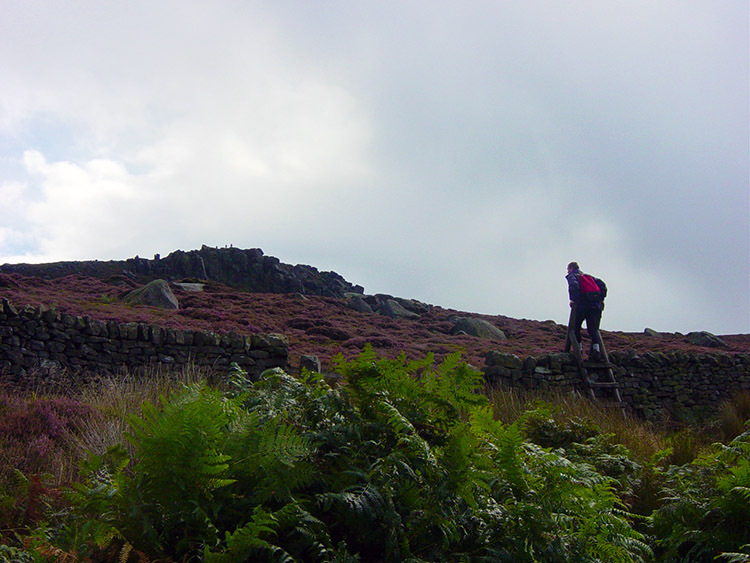 Deke was especially distraught but there was still hope as we continued on to Skyreholme. As we walked this stretch over fields to the village the skies started to clear, a lovely afternoon was beckoning. After passing through the village we followed the tarmac road for a short while to Parcevall Hall and the lovely tea shop there. To our delight it was open and while Dave and Jez ate their wares and drank their own drink Deke and I enjoyed a pot of freshly brewed coffee and feasted on crumpets and toast. The sun was now blazing so we sat outside and tucked into our mini feast, just what was needed for the short but stiff walk onto Barden Fell. 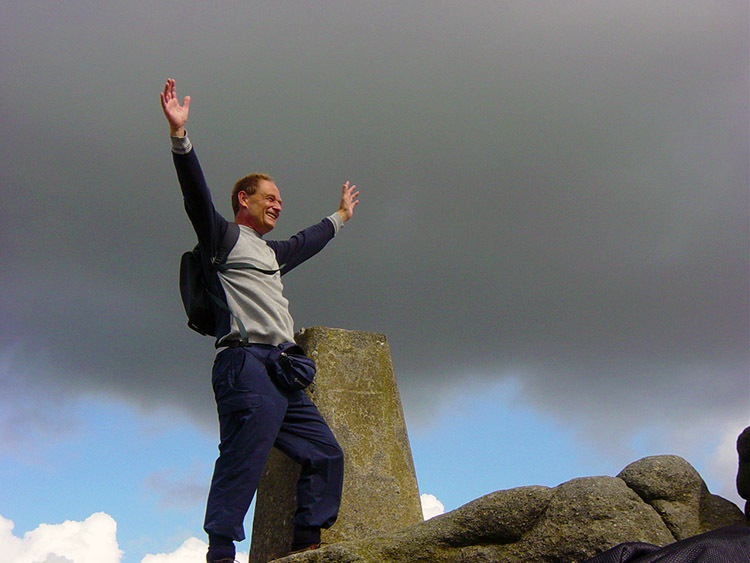 The walk up onto the high ground is hard work, especially after a boozy Saturday night but thoroughly rewarding as great views of the Dales countryside are gained as you climb to the rocky pinnacle that is Simon's Seat. The trig point at the top is a well visited place and the seat can be seen for miles around but fortunately for us, on a glorious Sunday afternoon, it was quiet. After we reached the trig point we stopped for our third and final time on this walk and Jez tucked into the remainder of his prepared fare. We also finished off our drinks as the team discussed the way from here. 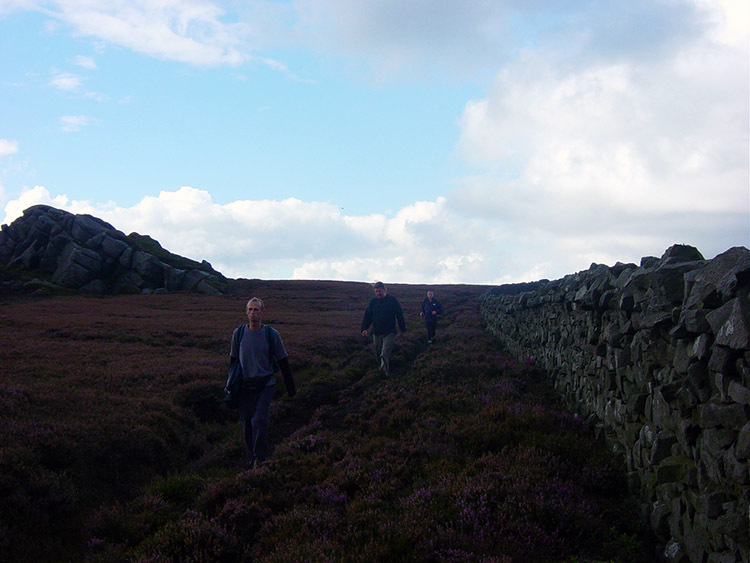 We decided not to follow the bridleway back to the Valley of Desolation but to cut across to Lords Seat and follow a wall that tracks down the fell in a south eastern direction. And so we did just that. 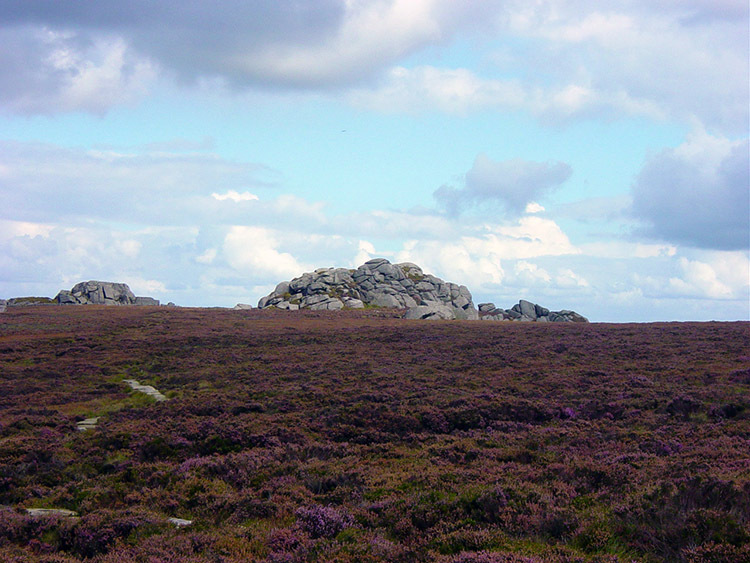 There is a track next to the wall that is easy to walk on as it is used by shooters to gain access to the Grouse Butts near here and we walked from Lords Seat downhill whilst taking in clear views of Harrogate and Jez's treasured Menwith Hill Spy base golf balls. As we started to descend the Fell Jez, clearly heartened at seeing his treasured eyesores decided it was time to have a little run, and so off he went into the distance. Dave, Deke and I walked at a leisurely pace as our hero became a little blob in the distance. We were not to see him again until back at the starting point of the walk. Making our way down the track was OK but we found it a little boring and did not fancy staying on it too long, and certainly not onto the Hazlewood Moor up ahead, so when we reached what turned out to be White Wham Beck we decided to follow it in a south westerly direction which would take us back onto the Valley of Desolation path. 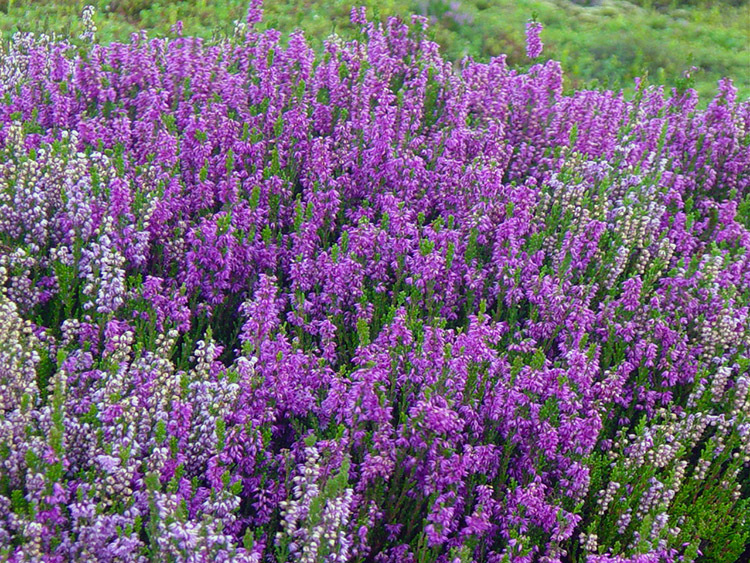 The walk along the beck was fun and we were surrounded by lovely blooming heather. 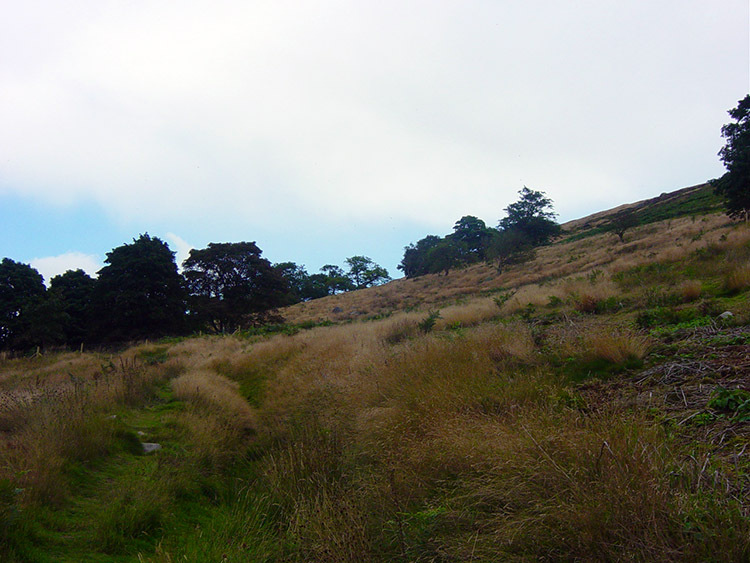 At times we could walk next to the water but then we were faced by falls which facilitated stiff walks up through the ferns and heather before we could find a decent path again. It was never a great problem but a few instant decisions on alternative routes had to be made. Making ad-hoc decisions on which step to make next made the walk very interesting though and a one point I found myself on the opposite bank of White Wham Beck to the other two. This was at a point where it converged with Little Agill Beck to create Hudson Gill Beck. My side of the water proved to be the easiest to negotiate and after a short while I reached a bridleway from where I called out to Dave and Deke who were struggling through the deep stuff to meet me. We had all had fun. 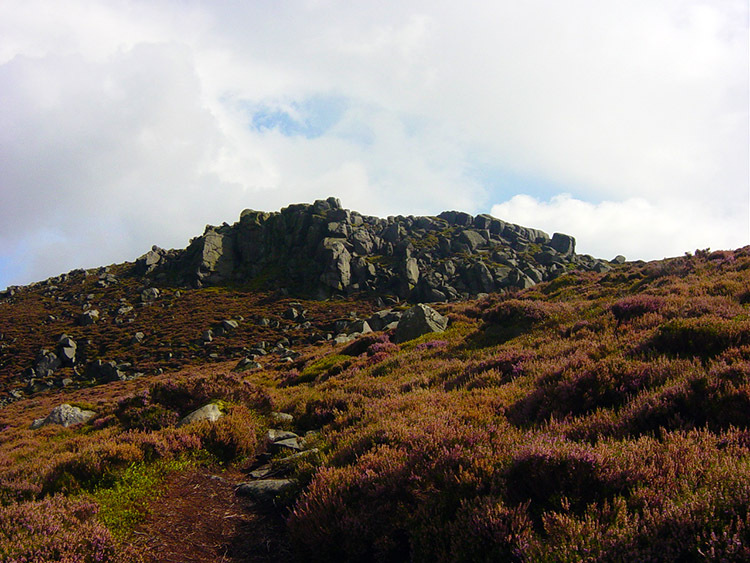 Following the bridleway brought us back to the main track that leads to Simon's Seat from the Valley of Desolation and so we followed it. 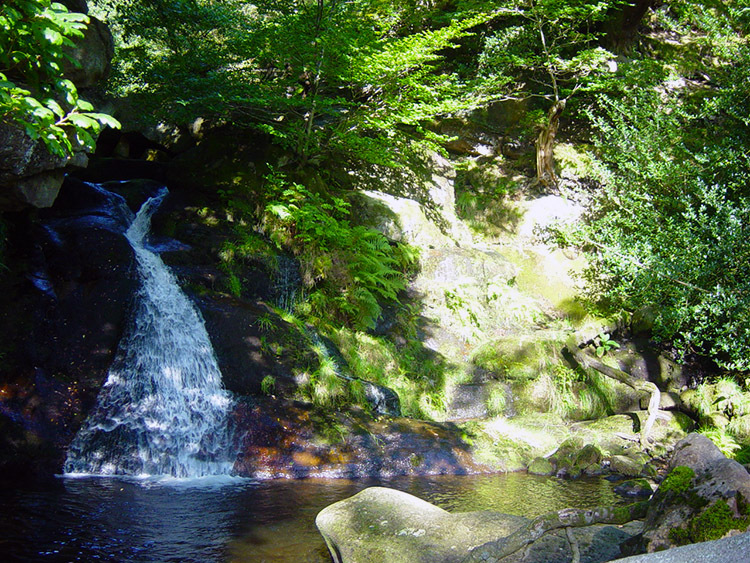 One more little detour had to be made to a quaint little waterfall in the valley. After enjoying the views and the sound of the water for five minutes we made our way back through the valley amid all its resplendent greenness towards Bolton Park. In too short a time we left the tree lined area onto open land that led us back out of our solitude and into the droves relaxing in the surroundings of the park with its picnic areas, cafe and priory. Then after a mile or so walking through the park we gained sight of the cars and made our re-acquaintance with Jez. 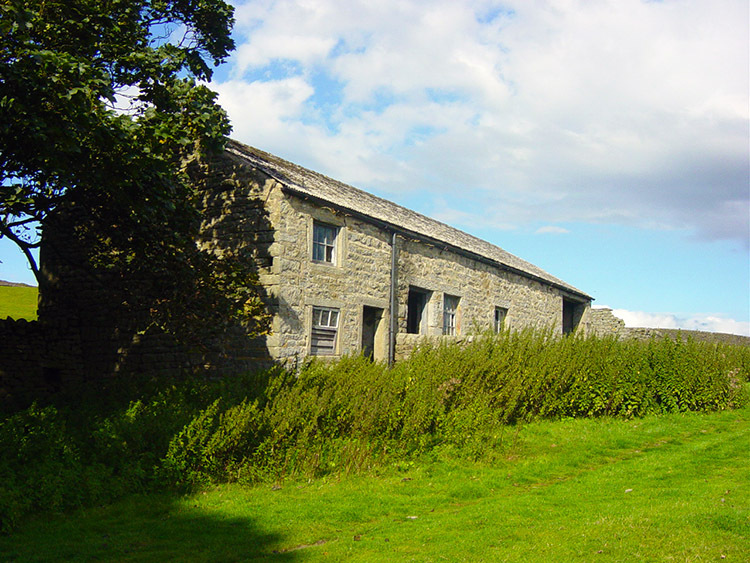 A great walk over in lovely Dales country. Fun and adventure had with plenty of chat, satire and jokes thrown in and so we all agreed to meet again as soon as possible and walk again. I look forward to it.